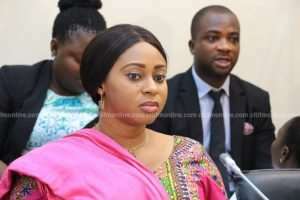 The Deputy Majority Leader and Minister of State in charge of Procurement, Sara Adwoa Safo, appears to have given credence to the notion that the National Health Insurance Authority (NHIA), has become like a ‘cash cow’ for all kinds of people, including those whose activity does not benefit the insurance scheme in any way. 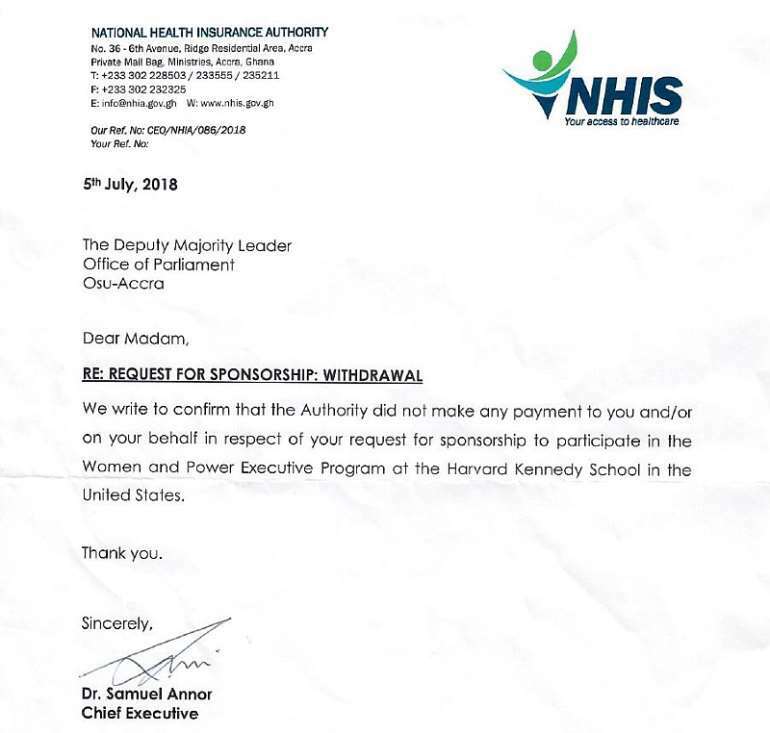 Shortly after it emerged that the struggling scheme recently spent a whopping Ghc62,000 on some communicators to sensitize Ghanaians on NHIS initiatives, Ms. Safo, whose role as a Procurement Minister enjoins her to ensure value for money, has admitted writing to the National Health Insurance Authority (NHIA) in March for sponsorship to a training at the Harvard Kennedy School in the United States. This is regardless of the fact that, her activities both in Parliament and as a Minister, are not linked to the functions of the NHIA. 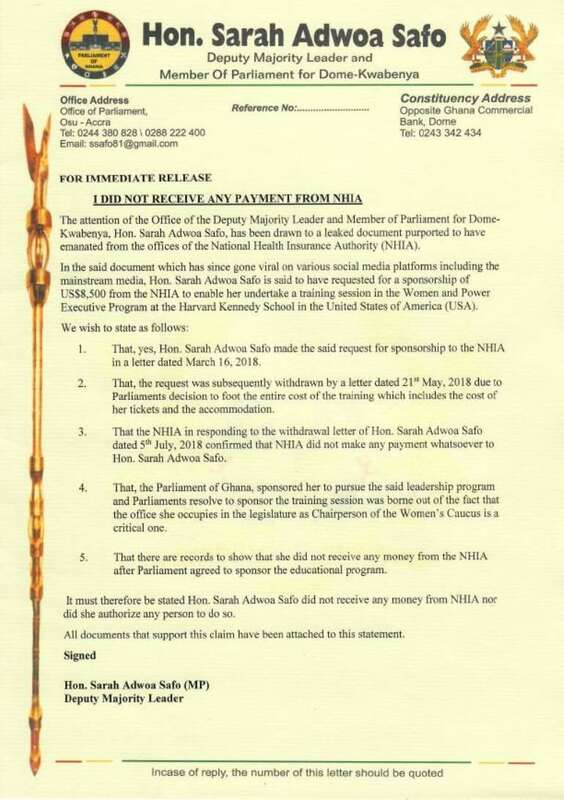 She attached a response from the NHIA dated July 5, 2018, as proof that the authority did not make any payment to her. The sponsorship requested from the financially handicapped NHIA on March 16, 2018, amounted to $8,500. “As the Chairperson of the Women Caucus in Parliament, this program would enlighten and enhance my knowledge in leadership and governance,” Ms. Safo appealed in the request letter. A copy of the request letter made rounds in the public domain prompting some criticism because of the NHIA’s known monetary constraints. These financial constraints have prompted fears that the National Health Insurance Scheme (NHIS) could collapse. The National Health Insurance Authority CEO and the Health Minister have consistently warned that the NHIS was operating on borrowed time because of a lack of funds. Following the Ghc62,000 expenditure on supposed communicators by the NHIA, some have accused the Authority of using these amounts to pay stipends to party serial callers among others.